Huawei Mate 20 Lite Goes Official; Now Available for Buying in European Markets - Playfuldroid! 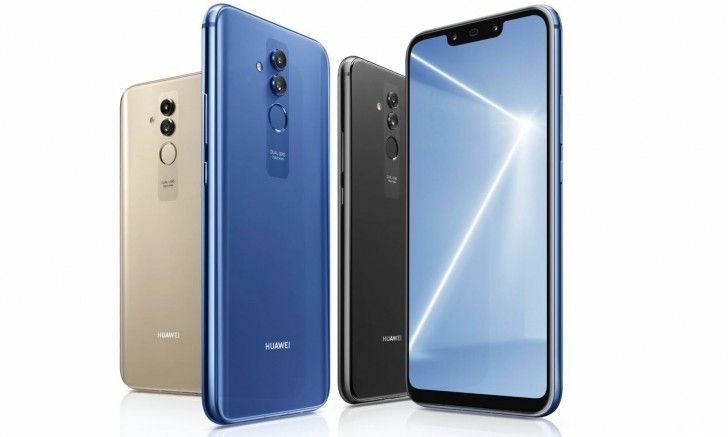 Huawei is yet to make an official announcement on the arrival of the Mate 20 Lite, but European countries like Poland and Germany have already started with its sales. This suggests that the company may have silently introduced the Mate 20 Lite smartphone. The Huawei Mate 20 Lite features a 6.3-inch FHD+ resolution supporting display. The Kirin 710 is present under the hood of the phone. The SoC is assisted by 6 GB of RAM and it features an internal storage of 64 GB. The handset is running on Android 8.1 Oreo OS. For photography, it features 24-megapixel + 2-megapixel dual camera setup on its rear and the front notch houses 20-megapixel + 2-megapixel dual selfie snapper. It receives power from 3,650mAh battery. The Huawei Mate 20 Lite is the lowest configuration in the Mate 20 series of smartphone from the company. The Chinese manufacturer will be debuting the Mate 20 and Mate 20 Pro flagship phones in October with 7nm Kirin 980 SoC in October. As far as pricing is concerned, the Mate 20 Lite carries a price tag of PLN 1,600 in Poland and it comes in colors like Blue and Black. It will be hitting the market on Sept. 9. In Germany, the handset is priced at 435 euros. As of this writing, there is no confirmation on the release date of Mate 20 Lite in Germany.